Teapot by Rufus Dunham of Westbrook, ME. 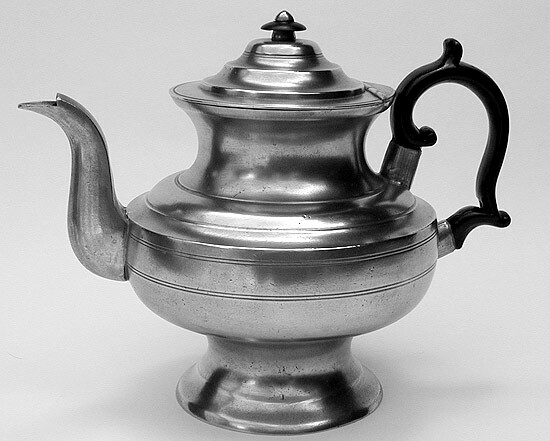 This attractive teapot was made by Rufus Dunham of Westbrook, ME, circa 1837-1860. 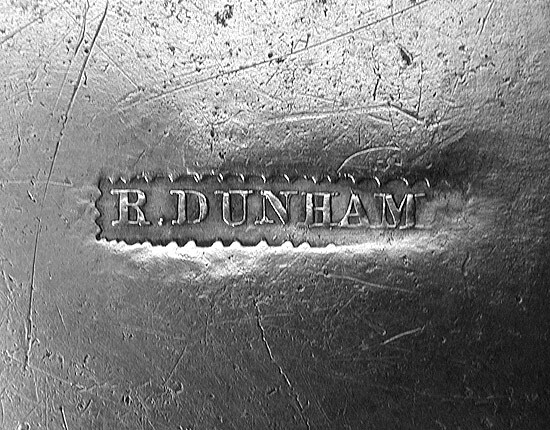 Dunham is known for variety of form and a generally excellent quality of product. This teapot is one of his earlier designs in fine condition with excellent touch. 7 1/2 inches tall.